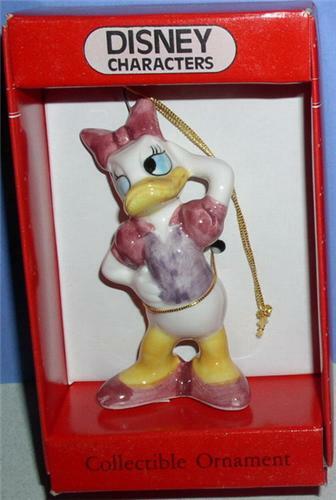 Walt Disney's Daisy Duck Character Collectible ornament by Schmid made of Porcelain. It is hand crafted, hand painted and it is in Mint Condition. I am offering this piece for is a real deal!!!! !